ADA, Okla., August 3, 2018 – Ram Jack Systems Distribution sponsored a live webcast for engineers across the U.S. July 19, 2018. The webcast, featuring presenter Amy B. Cerato, Ph.D., P.E. professor at the University of Oklahoma, allowed engineers and architects to earn a free Professional Development Hour (PDH) to meet their state licensing requirements. This is the second webcast Ram Jack has sponsored for engineers and architects to help them meet their continuing education requirements while learning about the theory and engineering of foundations using a steel helical pile system. This year, guest presenter, Dr. Cerato, shared her research findings regarding the seismic effect on helical piles. 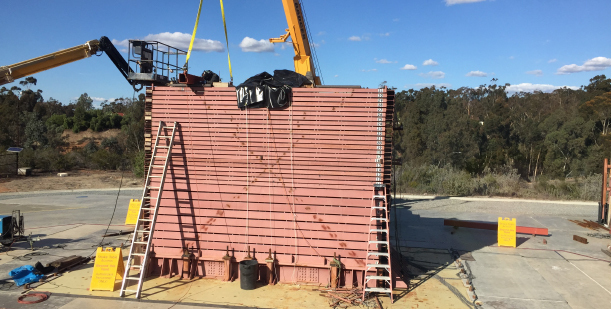 Ram Jack is one of the primary sponsors for the first-of-its-kind research, performed by Dr. Cerato through the Deep Foundation Institute (DFI), utilizing the largest shake table in the world at University of California, San Diego. “Ram Jack is committed to the research and development, not only of our products but in pushing the industry and our understanding of the effects of natural forces on foundations,” stated Ram Jack Systems Distribution General Manager Scott Holland. The webcast on July 19 hosted more than 800 engineers during the live event. At the conclusion of the presentation, Dr. Cerato fielded questions in real-time from engineers in attendance. With over 100 questions posed in the live Q&A module and limited time to answer them, Dr. Cerato and Darin Willis plan to respond to the questions in the coming months via an engineering newsletter. “Engineers can subscribe to our newsletters for information from our webcasts, get details on presented case studies, or even register for this same webcast—which is now available on-demand for 12 months to engineers and architects as well as engineering and physics college students.” explained webcast organizer and Ram Jack Franchise Communications Director Hollie Kosemund. Ram Jack provides quality foundation solutions, from residential to commercial. Our in-house engineers and research and development divisions continually strive to advance industry knowledge in foundation solution applications of steel piles. For more information regarding the on-demand webcast to earn a PDH or to subscribe to the Ram Jack Engineer Newsletter, contact [email protected].